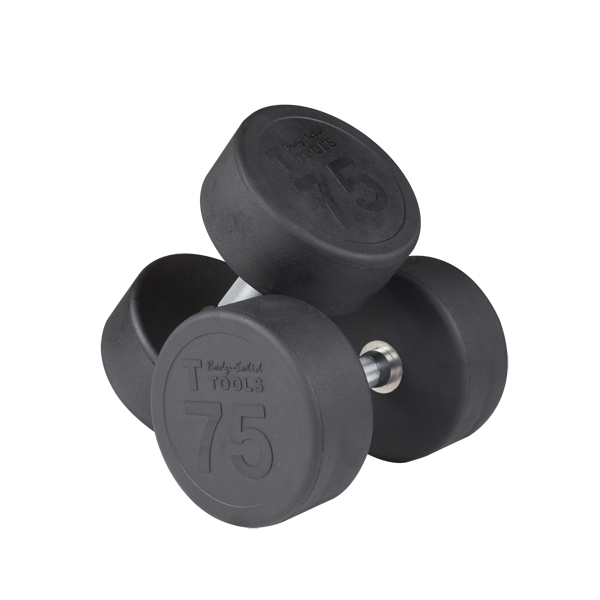 Rubber headed dumbbells are a quieter and safer alternative to solid cast iron dumbbells. 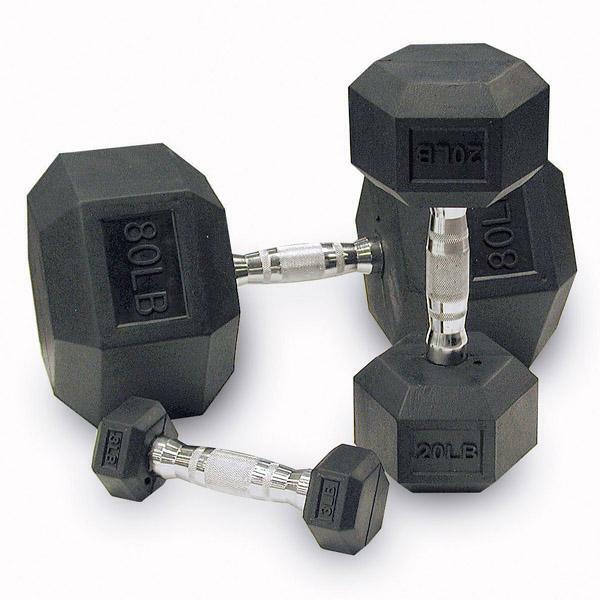 The rubber heads help to dampen the noise they make when clanging together are being dropped. 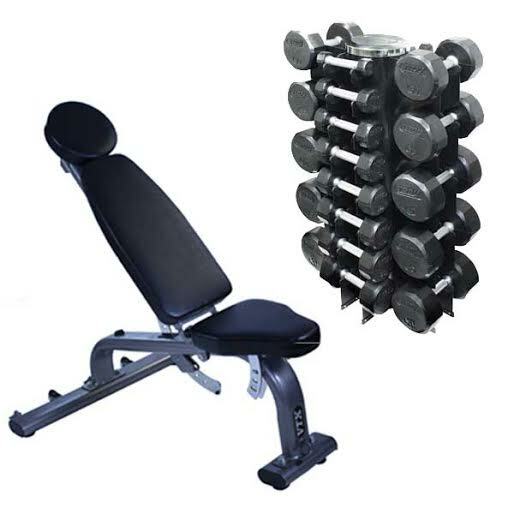 The rubber heads also minimize the damage that can be caused to flooring and other equipment. 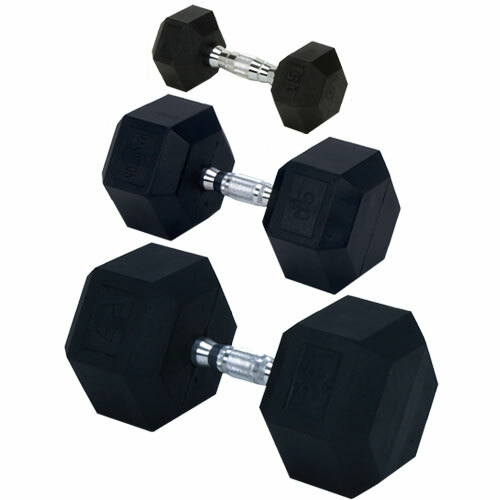 There are several styles of rubber headed dumbbells to choose from. 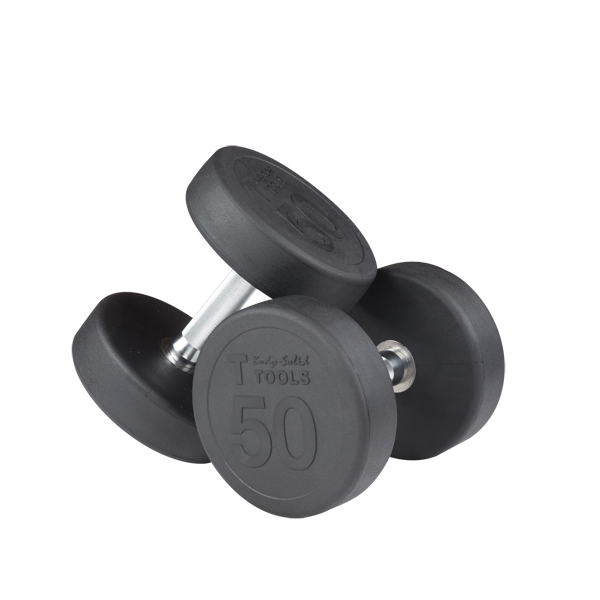 Rubber Hex dumbbells, 12 sided rubber dumbbells, and round headed dumbbells are some of the most popular shapes available. 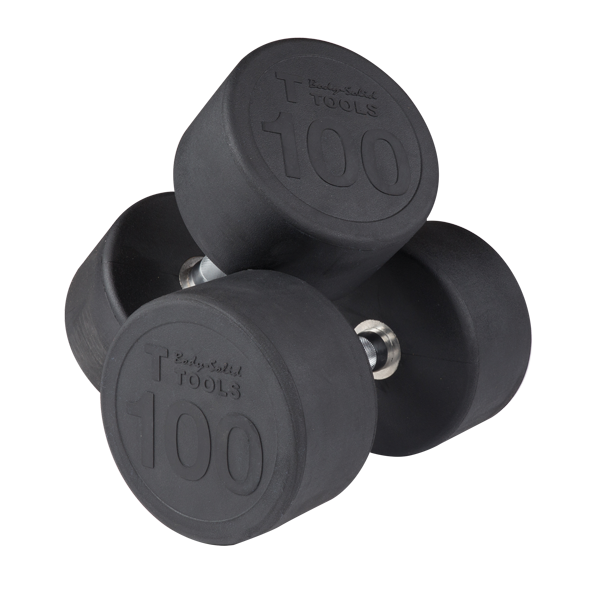 These dumbbells are a good option for home gyms, office gyms and commercial gyms where noise and safety are primary concerns. 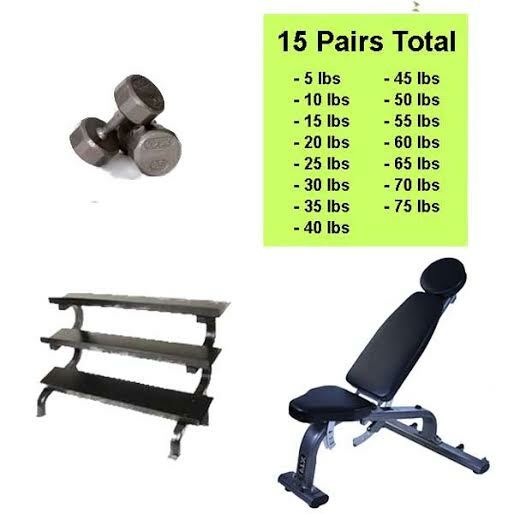 Check out our selection from trusted brands such as Troy Barbell, GP Industries, and Body-Solid.